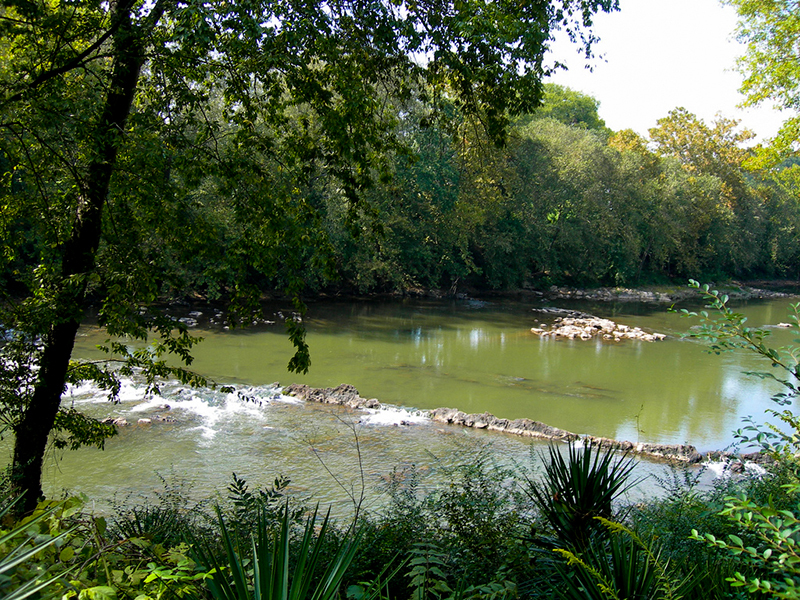 The Cahaba River photographed from the Cahaba River Historical Park in Centreville, Bibb County. The park offers camping, picnicking, walking trails, and rental pavilions, among other amenities. It is operated by the city.